On November 21, 2016, thousands of people were struggling for breath in Melbourne, Australia. They overwhelmed ambulance services and hospital emergency departments, formed long lines around pharmacies, and were helped by firefighters and police officers when paramedics became overloaded. The episode resulted in hundreds of hospitalizations and multiple deaths. The cause? Thunderstorm asthma—severe asthma attacks were triggered by conditions associated with a violent thunderstorm. This was not the first instance of thunderstorm asthma. Indeed, rapid spikes in sudden asthma attacks have been linked to thunderstorms in the UK, Australia, Italy, the US, and other countries since the early 1980s. The Melbourne case was the most deadly and severe of them all. Asthma is a disease that affects the lungs, causing wheezing, breathlessness, chest tightness, and coughing. The most common type of asthma is allergic asthma, a chronic inflammatory disorder of the airways that is driven by maladaptive T helper 2 and T helper 17 immune responses against harmless, airborne substances—for example pollen—in genetically susceptible individuals. It affects about 300 million people globally and accounts for 1 in every 250 deaths in the world. Now, scientists are exploring new ways of predicting thunderstorm asthma outbreaks, so to provide early warnings for health professionals, emergency management officials and residents in high-risk areas. They carried out a study based on well-known aspects of thunderstorm diagnostics often used by meteorologists to assess storm severity. According to the study, the combination of rainfall, winds and lightning from thunderstorms in conjunction with pollen or mold spores can worsen asthma symptoms. Rainfall and high humidity rupture bioaerosols, particularly rye grass pollen grains. Thunderstorm electrical activity contributes further pollen fragmentation, and gusty winds can spread pollen granules ahead of the storm. Several of the factors in combination may result in these events reaching epidemic proportions. As a little kid growing up, I did not deal with asthma or seasonal allergies. It was not until I hit high school that I became acquainted with asthma. Asthma reared its head during my spring season of soccer. I was confused as to why I could not breathe properly despite being in shape. It was not until next spring that I discovered that I have sport’s induced asthma. In “The role of sports and exercise in allergic disease: drawbacks and benefits” elite athletes can increase their risks of developing asthma; however, there are benefits to sports (1). According to this article, training attenuates Th2-mediated inflammatory responses. In another study (2) asthmatic patients with eosinophil enriched cells were considered. Compared to healthy subjects the proportion of IL-18 cells express in eosinophil-rich subjects were significantly increased. IL- 18 binding proteins and IL -18 receptors increased in the presence of pollen whereas with healthy subjects there were no marked increases. The study concluded that eosinophils seem to be involved in inflammatory reactions not just T helper 2 and T helper 17. By discovering that eosinophils play a role in inflammatory reactions in asthma, maybe medications for people with asthma can target eosinophils and the role they play. I think by increasing the variety of medications that we can give to people who have asthma could help prevent thunderstorm asthma from being so severe; however, we should further investigate tracking thunderstorm asthma that way people can be adequately prepared for these outbreaks. Many studies, like the ones you referenced, talk about the role of eosinophils in causing allergic reactions that usually lead to asthma. However, targeting eosinophils in asthma treatment medications may lead to more serious conditions. Like other white blood cells, eosinophils help in protecting our body and they help in activating other cells of the immune system. According to a study that published in April 2017, eosinophils release cytokines that play an important role in activating natural killer cells which are important in killing tumor cells and virally infected cells (1). Therefore, future asthma treatment should not involve any compounds that could cause damage to eosinophils or any other cells of the immune system. I can completely relate with you and the article about increasing the risk of asthma when you are an athlete. I was also an athlete during my high school career and I only suffered with shortness of breath and pollen allergies while I was athlete. Now that I am no longer playing the sport, those symptoms have gone away. In one study, it was discovered that pollen grains from a ryegrass and a fungal allergen Alternaria alternata has been linked to thunderstorm storms (1). Both allergens are found in majority of climates across the world. Researchers tested mice and exposed one group of mice to just the pollen grains and the other group of mice to both the pollen grains and the fungal allergen. The amount of eosinophils, neutrophils, Th2, innate lymphoid cells (ILC2), and IL-5 and IL-13 were measured in the Broncho alveolar lavage over a course of 3 days. Scientists observed an innate immune response of induced eosinophilia, Th2 cell recruitment, and proliferation of ILC2 (1). The increased population of these cells ultimately led to inflammation and mucous production as stated in the article above. Now that this study has been done, it makes me wonder should people stay away from outdoor activities during thunderstorm seasons? I did not know that sport could also induce asthma. Your comment is indeed very informative. The one thing I am learning from our immune system is that it is very complex and the information that we seem to know although it is a lot, there is still more to discover. Working in a pharmacy for many years, allergy medications are a very large portion of the pharmaceutical business. During pollen season the sheer volume of customers requesting singular, inhalers, and steroids is astronomical. One study (1) concluded that in polluted areas, the pollen spores also pick up air particulates as they drift in the air. So as the pollen is inhaled, the air particulates are also carried into the respiratory system, causing a combination of reactions. The allergic reaction induced from the pollen grain is combined with the body trying to clear the air pollutants out of the lungs as well. This compounding reaction leads to heightened patient suffering. These pollen grains that pick up air pollutants release their proteins as a result. These mature pollen grains are much more effective at inducing a reaction in the human body, meaning that their potency is greatly increased. This topic definitely needs to be explored further because of all of the allergy sufferers that live in metropolitan areas that suffer for many months out of the year, every year. Emily, it is interesting that you mentioned the correlation between pollution and pollen allergy potency. Pollens seem to be modified both during a thunderstorm and by air pollutants, making them more likely to cause asthma. One recent research investigated the relationship between asthma hospital admissions and air pollution (1). The researchers found out that there was a strong association between air pollutants exposure and asthma hospitalizations. This association was stronger in the cool season than in the warm season. Also, this study indicates that increasing levels of air pollution and pollen influence children most. However, air pollution may not just interact with pollens, causing more asthma hospital admissions. A study has shown that the pollen of Cupressaceae, a family of plants that is resistant to airborne contamination, expressed a larger amount of allergen, Cup a 3, in the polluted area (2). The plant may change its gene expression to defense air pollution, increasing the allergenicity of its pollen at the same time. Further study may help develop policies for asthma management. You bring up an excellent point Emily! Allergy medications, which usually contain an antihistamine, make a significant contribution to pharmaceutical companies during allergy season and overall. However, this increase in profit from allergy medications is also due to the abuse of these antihistamine medications by patients. In a recent study, the long-term use of antihistamine was correlated to an increase in the risk for glioma (1). A glioma is a type of tumor that occurs in the brain and spinal cord. This study helps enforce the notion that there is a correlation between malignant brain tumors and immune mediators. Patients must be careful not to self-diagnose themselves with over-the-counter allergy medications because this can lead to the overuse of these drugs and fatal consequences. Emily, this is very good point. My mother suffers from asthma, and during pollen season she does require her inhaler and steroids more than usual. The interrelationship between air pollution and respiratory allergies could depend on certain climate factors that affect both biological and chemical components (1). Thunderstorms, humidity, temperature, and wind speed can allow the pollen grains to release their cytoplasmic content and cause a severe asthma attack (1). An enhanced IgE-mediated response to the aeroallergens that are released by the pollen grains can induce airway inflammation, and allow the allergen-carrying particles to penetrate through the mucosal barrier. However, urbanization is another factor that is causing an increase in respiratory allergies. The exposure of individuals to high levels of vehicle admission, nitrogen dioxide, and Sulphur dioxide are also increasing the risk of evolving asthma (1). Further studies should be done to try and control the rapid increase in respiratory allergies. I moved to Georgia in 2014 and since then I have been suffering from allergies but never even experienced before while leaving in Colorado, It is true that the environment does play a great role in the development of allergies and that each year its potency increases with more damages we cause to the environment. I wonder if people do build up some form of resistance to allergy medication or do they always work? This is an absorbing question. I have never suffered from allergies either, but my younger brother does. This will make me think it has more to do with the environmental than, for example, genetic. With Human activities having more and more harmful effects on the environments, it is best to say that the development of allergies does increase each year. With the topic of resistance to allergy medications, more research will have to be done on the subject (1). But that is a good thought since bacteria form resistance to antibiotics. But again, more research will be needed to fully answer that question. I Agree with you regarding the number of people that suffer from allergies within a year, especially being directly affected. One thing frustrating is that most sufferers do take medications from pharmacies but still it do not always see results like in my case which is alarming. However, this article explains how although pharmacotherapies are the mainstay treatment options for AR and asthma, the guidelines also recommend allergy immunotherapy (AIT). ( 1) Unlike pharmacotherapies, AIT has the ability to modify the underlying immunologic mechanisms of AR and asthma with the potential for long-term benefits after treatment is discontinued. They suggest a tablet called Sublingual immunotherapy (SLIT)-tablets that are a self-administered alternative to subcutaneous immunotherapy that provide the benefits of AIT without the cost and inconvenience of frequent office visits or the discomfort of injections which is good especially for children that fear injections. It’s a great way to control the pain without feeling the pain, essentially being better than medication from pharmacies. It should really be considered for the asthma treatment with minimal side effect and greater benefits. Asthma as a disease can affect our lungs. It is a chronic childhood disease and more common to children than to adult. If we get the asthma, it will always in there, but only something impact out lungs, we will have asthma attack. For the children, sports are good for their physical and mental health. However, if they play in the allergic conditions, it is very dangerous for children who are allergic to this environment. Also, the asthma is classified into allergic and non-allergic asthma in the preschool children. Because the underlying immunological mechanisms are not understood completely. Treatments are still not successful to some children. However, recently, people found the regulatory T cells and T helper cell subtypes indicate important information about the development of asthma. Also, the innate lymphoid cells (ILC) that will produce various cytokines which associated with asthma play an essential role in asthma patients (1). Even though the childhood asthma still a challenge to discover more information, in order to solve this problem, there are still need more researches to be found about the innate and adaptive immune responses related to the asthma. Good point Dan. It is true that asthmatic children often play in allergy-inducing conditions. Also, other factors have been found to worsen a patient’s asthma, such as viral infection. You mentioned that regulatory T cells and T helper cells give information about asthma’s development. I would like to add that, in a recent study, it was found that peripheral eosinophil counts, serum eosinophil cationic protein (ECP), and interleukin-5 (IL-5) levels were significantly higher in patients sensitive than those not sensitive to aeroallergens (1). To relate to the post above, thunderstorms may affect the circulation of viruses, such as the respiratory syncytial virus and adenovirus of this study, in the air and increase the possibility of respiratory transmission to these susceptible individuals. It is important that cities establish health protocols, procedures, and precautions to protect this subgroup of their populations that are adversely affected by these sudden climatic changes. As an ER physician scribe, I encountered many patients who come to the ER complaining of shortness of breath, chest pain, cough, etc., all related to asthma. It makes sense for asthma to be induced by a different factor, but after this article, I will say that this is my first time hearing about thunderstorm-induced asthma. In this article, it was mentioned that changing concentration of carbon dioxide in the atmosphere changes the plants’ growth conditions. Carbon dioxide concentration can be traced back to climate change; a study performed was even included. With higher potent pollen counts, the greater a chance of a thunderstorm asthma crisis. Overall, more work and research can be done to completely understand the state of these thunderstorm-induced asthma cases, as well as preventative options for the many people affected. You are correct in saying that many other factors can induce asthma, and I also learned for the first time about thunderstorm asthma after reading this article. As the article states, increased rate in thunderstorm asthma is due to anthropogenic climate change. It is alarming to know that human actions are contributing to the emergence of many new diseases and increasing the severity of other. Another reason that case of asthma and allergies are increasing is due to excessive use of antibiotics in our food. Industrial animal farming feeds large amounts of antibiotics to promote faster growth of animals used for the meat which destroys many species of beneficial gut microbes that keep us healthy when that meat is consumed as food. Allergens that would have been naturally destroyed by our gut flora take hold in the absence of it, and elevate markers of allergic reaction like IgE, interleukin-5 and interleukin-13 causing allergy (1). In another interesting study conducted on a large number of children, it was found that less environmental exposure to endotoxins causes asthma as adults (2). All the above studies show that human actions are indirectly causing increased rate of asthma and allergies. It would be safe to say that medications alone with not be sufficient to live a healthy life and sustainable living is important. We should change our approach to producing our food, interacting with the environment and reducing climate change. 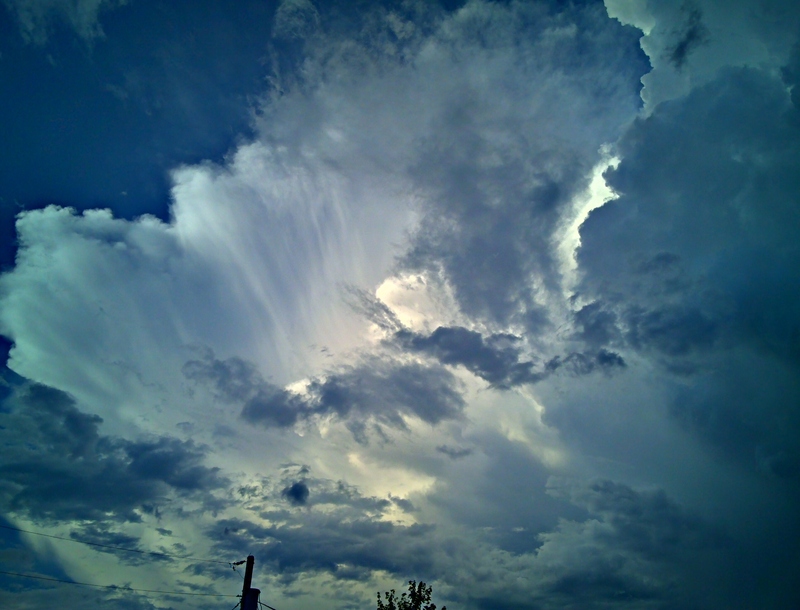 Thunderstorm asthma can be defined as an outbreak of asthma attack that occurs during a thunderstorm and that is made possible because thunderstorms allow for allergens to be dispersed in the air; especially when accompanied by strong winds, rainfall and lightning which make those allergens readily available in the atmosphere causing the outbreaks. The article introduces the subject of asthma attacks being driven by maladaptive T helper 2 (Th2) and T helper 17 (Th17) immune responses against harmless, airborne substances. Asthma attacks are known to exist in two forms, the first one is the eosinophilic asthma which is caused due to accumulation of eosinophils in the airways; the eosinophil accumulation is driven by IL-5 which is caused by the Th2 cells while the IL-4 and IL-13 promote the generation of immunoglobulin IgE and mucus production, respectively. The non-eosinophilic or neutrophilic asthma is caused by accumulation of neutrophils driven by the cytokines IL-17A, IL-17F and IL-22, which contribute to neutrophil recruitment and airway hyperresponsiveness. Th17 cytokines will not recruit neutrophils directly, but rather trigger the airway epithelial cells to secrete neutrophil attracting chemokines, such as IL-8 in humans (1). The eosinophilic asthma is known to respond favorably to corticosteroids while the neutrophilic does not, which may require other forms of treatment. The one thing that I see emerging again from this article is the theme of sustainability. The author believes that climate change causes an increase in carbon dioxide concentration for plants leading to increased pollen potency, explaining the increase of asthma attacks or disease throughout the years. Once again, we see why sustainability is an important matter. This article astounded me because I had no clue that thunderstorms could lead to an increased rate of asthma. The article says the maladaptive T helper 2 and T helper 17 cells cause bad immune responses. This article states the pollen is the main reason the asthma is increased during thunderstorms. (1) The pollen grains are increased in concentration due to osmotic shock. Since so many people are affected by pollen in the world, there needs to be a solution or cure found. The number continues to grow year by year. Another cause of the increased pollen is also the increased amount of CO2 in the atmosphere. More CO2 in the atmosphere leads to an increased amount of plant growth. The increased plant growth leads to more pollen in the air. The article states the best solution is to find a way to help identify a thunderstorm before it happens. I believe that it a good answer. However, another good solution would be to see if eosinophils can help lessen the asthma reaction caused by pollen. I found that one leading theory of asthma attacks correlated with thunderstorms to be very interesting. Neither would I be surprised that a city like Atlanta may one day experience such type of “Asthma Thunderstorms” because of high pollen count in the spring and roaring scattered thunderstorms looming. A recent study by researchers found evidence that the effects of respiratory allergies is linked to air pollution and climate change. There is evidence to support that global warming contributed by anthropogenic factors, have impact on the biosphere and human environment (1). Furthermore, pollen allergy is frequently used to study the relationship between air pollution and respiratory allergic diseases, such as rhinitis and bronchial asthma (1). Epidemiologists have also studied and found increasing number respiratory allergies in urban areas more prevalent when compared to rural areas due to vehicle emissions and urbanization. From first hand experience, asthma is a very serious condition. My older brother had a near fatal incident during his childhood in which he was playing like any normal child would when suddenly he could not breathe. On our 15 mile ride to the hospital, his gasp became more intense until he was unresponsive. My mother shook him vigorously until he woke, just in time as we were entering the hospital. It was at that time we learned he suffered from an asthma attack and as a result, he always travel with an asthma inhaler. Identification of wind magnitude is a revolutionized mechanism for tracking thunderstorm and allowing time for preparation. However, this seems to offer no benefit to our immune response in the case of asthma attack during a thunderstorm. Pollens, considered allergens, readily activate IgE to stimulate an allergic response. Mast cells covers our body surface and functions to notify our immune system. Activation of mast cells by IgE induces our immune system to elicit an array of inflammatory response. Inflammation is facilitated by secretion of chemical mediators from granules such as eosinophils and by production of cytokines and leukocytes (1). Inflammatory response is divided into immediate reaction and late reaction. Immediate reaction activates synthesized mediators, such as histamine. This result in rapid increase of smooth muscle contraction and vascular permeability, which produce symptoms of increased heart rate. The onset of late reaction occurs within 8-12 after immediate response and cause activation of eosinophil. Therefore, with the storm tracking device and prexposed allergens, people suffering from asthma should have enough signs to prepare themselves and prevent major asthma attacks. Leave a Reply to Annette Matadi Click here to cancel reply.